Ralph Kyau had his first experience with the production of electronic music in 1990 and gained a reputation for DJing as well as Live PA sets at several underground techno parties in Germany before releasing his first record "Modulation Experiments" at the end of 1993. Together with DJ Shandy he founded the label Harmony Recordings in 1993 and they signed the massive Mirco de Govia as their first act. At the same time, Steven Moebius Albert began to produce his own tracks and in the summer of 1994, Ralph and Steven met for the first time. They produced their first tracks together for a live performance realized that they have a common perception of music and decided to try their hands at producing together. The result was their first single "Let me in" released in 1996. From then on they became known under the artist name of Kyau vs Albert. Their two small studios merged and they founded a music production company "Euphonic" in 1997, signing Sonorous aka Rough Mullar as well as Ronski Speed. With such a strong backing of producers, the team began pushing for their sound to be heard. 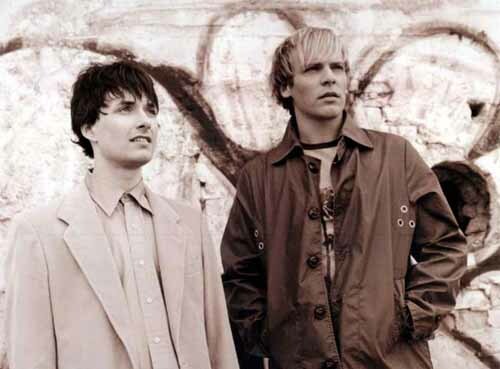 In 2000, the guise of Kyau vs Albert became recognized by WEA (part of Warner Music) and a long term contract was put together, forming the start of their journey into dance music, with huge support from DJs such as Paul van Dyk, KayCee, DJ Tiesto and many others. In 2002, Sun Decade shone through on the Euphonic label with the massive "I'm Alone" which blew the roof off many house and clubs around the world with its soaring vocals and superb productions, putting Kyau & Albert and their Euphonic Label at the top of the list in the industry.